How much are disengaged employees costing your company? 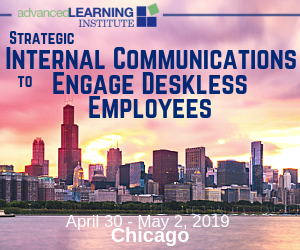 So what drives engagement and what strategies can leaders use to create an environment where both engagement and productivity thrive? The Intersection of Employee Engagement and Performance Management. attract, engage, and retain top talent should. workplaces where employees thrive. because when employees don’t feel connected. At the same time, employees report feeling. prioritize their social and emotional wellbeing: • Only 21% of employees say their organizations. Increases in technology and employee management strategies have driven home an important point: employee engagement is important to business success, and yet woefully ignored. Gallup reports only 15 percent of employees worldwide are engaged in their jobs. American workers are twice as likely to be engaged, but even so, that leaves 70 percent of employees who are disengaged at work. DOWNLOAD THE E-BOOK: 51 Hacks to Become a Better Manager. If there’s one thing that’s certain in the world of Human Resources, it’s that employee engagement matters. If there’s a second thing that’s certain, it’s that HR knowing this has done almost nothing to improve employee engagement. Engagement is not a program,” he states. In today’s episode of We’re Only Human, I talk with Autumn Spehar, HR Director at Stout Advisory, about how her company made a radical change in its approach to performance management. It’s no surprise that employee engagement numbers have been abysmal for the last few years (and if that is a surprise, you need to read our blog more often.) According to Gallup, engaged employees comprise only around 30% of the workforce. So why the rise in engagement? 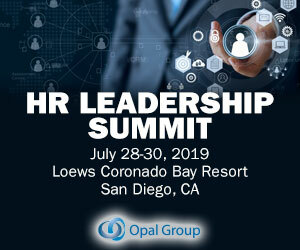 You’ve identified your needs, researched HR strategies, chosen a technology partner and launched your real-time performance management and/or social recognition platform. The easier the program is for employees to participate, the better. You’re quickly approaching your one-year anniversary in your new job and your manager gives you a heads up that your performance review will be due soon. She’s asked that you download the form and complete the employee rating section. Old school performance evaluations. The secret behind an organisation achieving a greater level of success is its robust performance management. It includes the various processes that it puts into place in order to measure and reward the effort of its employees for meeting and exceeding the expected goals. A performance management system is effective when it successfully establishes a genuine pay for performance culture which helps to develop employee engagement. Before we hit that reboot button on our performance management programs, let’s be absolutely clear on what performance management actually is, and why we should be doing it. Reward all employees equitably. Drive overall organizational performance. million employees. How can smaller companies compete with the employee experiences created by massive well-known brands with astronomical budgets? That said, the employee experience is so much more than free lunches and Instagram-worthy work spaces. Think: how employees interact, the impact of the company mission on culture, and the opportunities employees have to grow and develop. They include: Building trust with all employees regardless of position. 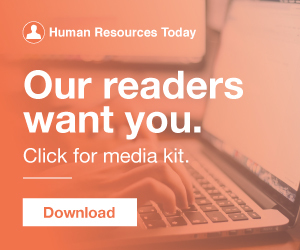 HR analytics produces large amounts of insightful employee engagement data, filled with potential insight into employee attitudes, morale, retention rates, and more. Even so, it’s often difficult to explain how employee engagement affects business outcomes and solves company problems. SEE ALSO: Why Facebook Employees Are More Productive, Motivated, and Satisfied. Link Employee Engagement Data to other Sources. Identify Engagement Issues. Does employee engagement as a measure still matter? Should we conduct annual performance reviews? In particular, we talked about employee fit, continuous feedback, and psychological safety as key drivers of engagement in today’s workplace.